Chronic vomiting - In general, dogs vomit much easier than people do. Their system is designed to reject materials that upset the stomach. We have all seen dogs vomit up some foreign material, and immediately after that, they go back and start eating again. In other words, they were not really nauseous. However, when vomiting becomes more frequent, we need to go hunting for the cause. Typical causes in our older patients would include blockages caused by a growth in the stomach or intestines, chronic liver or kidney disease, drugs that are irritating the stomach, or an intolerance to food. 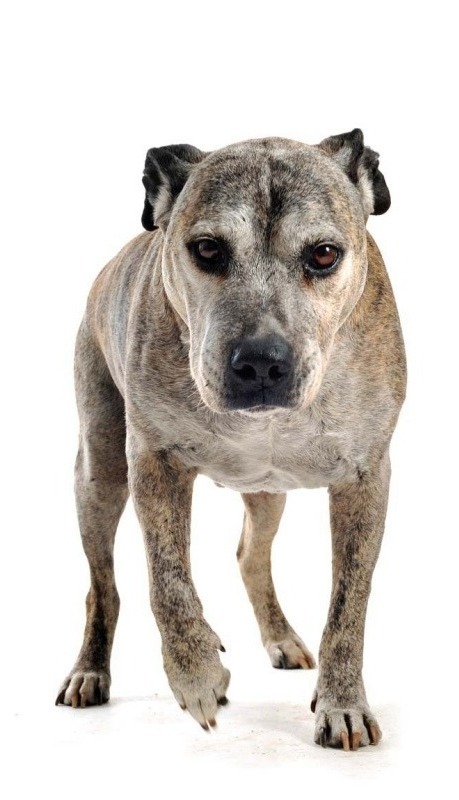 Inappropriate elimination - A common ailment of our older dogs is leaking urine. This incontinence can be a result of weakness of the urinary bladder sphincter, from a mass in the bladder, or simple "overflow" from drinking too much water. If the leaking is only when the dog is sleeping or napping, the incontinence may be treatable with safe medications. A urinalysis and good physical examination will often give us enough information to determine the cause. 1. Weight management - taking off extra body weight is extremely important to reduce the stress on the joints. It does not make any sense to load a patient up with drugs and ignore the excessive weight that many of our pets are carrying around! 2. A good quality "Joint Supplement" should be part of all arthritis protocols. The problem with joint supplements, is that their quality cannot be evaluated by looking at the label, the advertisements, or even the price! So, how do you pick the best one for your dog? Your veterinarian will have experience with these supplements. You should trust their choice as being one that will usually work on your dog. We try to use only the best supplements available. At present, the one we recommend for dogs is called Dasuquin Advanced. 3. A rich source of DHA and EPA are very helpful to decrease inflammation and to slow additional degenerative changes in the joint. These essential fatty acids are found in certain fishes. Generic "fish oil" is frequently NOT a good source of EPA or DHA. Consult with your veterinarian for a good source for these Omega-3 Fatty acids. 4. The above three items are what we generally use for long term support for our arthritic patients. These supplements usually take 4-6 weeks to see changes, so initially, we often use drugs to get the arthritis under control. If the supplements do not provide adequate relief, then we may use drugs either "as needed" or continually for additional relief from pain. Most veterinarians usually start with NSAIDs (non-steroidal anti-inflammatory drugs). If the NSAID is not adequate, then the addition of additional drugs like Gabapentin, Tramadol, Amantadine or Adequan may be needed. Progressive kidney disease - As dogs age, their kidneys slowly start to deteriorate. No one really knows the reason, but once the deterioration begins, it tends to progress. The big problem with this "disease" is that the routine blood tests that are done for our older patients will not pick up any issue until the deterioration is advanced. Symptoms of kidney disease include increased thirst and urination and eventually a decrease in appetite and perhaps vomiting. So, what can we do to try to avoid or slow down this disease process? There is no perfect answer, but having plenty of fresh water for your dog at all times is essential. Additionally, it has been shown that bad oral hygiene can directly send excessive amounts of bacteria to the kidneys. So, keeping the mouth clean and healthy with periodic dental cleanings would be a good idea. If the kidney disease is advanced, there are some special diets and drugs that may help. Liver disease - There are multiple liver diseases that can affect our older dogs. Certainly, cancer is one that we are all concerned about, but not all liver problems are from cancer. There are several diseases that just cause inflammation of the liver which could result in vomiting, loss of appetite, and abdominal discomfort. Hepatitis literally means "inflammation of the liver". Most people equate "hepatitis" with viral diseases, and indeed, people have multiple viruses that affect the liver. Dogs only have one real viral hepatitis and early puppy vaccines against this virus make viral hepatitis a rarity in dogs. So the hepatitis that we see in dogs can be from drugs, excess production of cortisol by the body, or from fat storage from obesity or from Diabetes. Some forms of heart disease can also cause problems with the liver by decreasing blood flow and making the liver swollen. Blockage of the bile ducts with either stones or disease of the Gall Bladder can also look like liver disease with elevated bilirubin making our patient look yellow! Inflammatory bowel disease - This is a common ailment of middle age and older dogs. Most people think that this is actually an immune system issue, where "normal proteins" or "normal bacteria" in the food cause inflammation of the stomach, small intestines, or colon. Symptoms can include vomiting, diarrhea, or weight loss. Sometimes chronic weight loss is the only symptom. Treatments, once diagnosis is properly made, may include diet change or medications.